We exist to be a catalyst for good. With our non-negotiable, triple bottom line policy of putting people and planet before profits while being fiscally successful we are being the change we want to see in the world. We strive to run our company with these values, exemplified by running our servers with wind energy, and ensuring access to health products for those who cannot afford them. We work to build relationships with the farmers who grow the ingredients we use, ensuring fair trade wages, and only supporting regenerative farming practices. We will always ensure from seed to planting to the final products in your hands that we have made the world a better place without cutting corners. We are always working to improve the standards for all the communities we touch. By honoring and valuing people, the environment, and all other members of Life (while still being a successful business) we are a living example that success does not need to be at the expense of others well being. We love life, and we love you. Why is Ojai Energetics the best? We encapsulate the full spectrum hemp oil in nano bubbles of water, so that it is instantly absorbed upon contact with the mouth. This allows most people to feel the benefits in 30 seconds not 30 minutes like normal CBD rich oils. It also increases the amount of CBD the body can use, over a 20x increase. We use only certified organic ingredients to do this, unlike anyone else who uses synthetically modified or synthetic compounds to encapsulate. This makes ours the fastest acting, safest, and most bioavailable CBD on the market. Why is your product a dark yellow? It’s because we don’t remove the phytonutrients and chlorophyll that most companies remove because of formulation challenges they face. We keep the plant as whole as we can and then encapsulate it in water to give you the most effective and advanced delivery system. We are the only ones to make a water soluble full spectrum oil that doesn’t use synthetic ingredients. Why does the CBD start to taste sweet? The taste of the product getting sweeter as it approaches the correct dose is a function of the CB2 receptors in the tongue modulating indicating the optimal dosage amounts for the body for that day. This is due to our rapid absorption technology, and no other CBD oil whether fat based or solubilized does this on the market. Please see DOSAGE GUIDE for in depth instructions. Will it show on drug test? There are only trace amounts of THC which is well below the federal legal limit. Many people have taken our products without issues of failed tests, including a pro racer who got tested by NASCAR, Law Enforcement and other professionals who get tested. It is like a poppy seed bagel in that there are trace amounts of compounds that in theory could show a false positive. We do not make any guarantees and people should use their best judgment. Where can I find test results? When should I take the CBD? Morning is best, unless you want to use it for improved sleep quality then an hour before desired sleep is best. You can take with or without food, and throughout the day if you feel the need. There are 30 full droppers in every 1oz bottle with the bioavailable equivalent of approximately over 5000mg of CBD of a fat based CBD product. Everyone’s body and needs are different, and on average they last a month or over depending on the user. 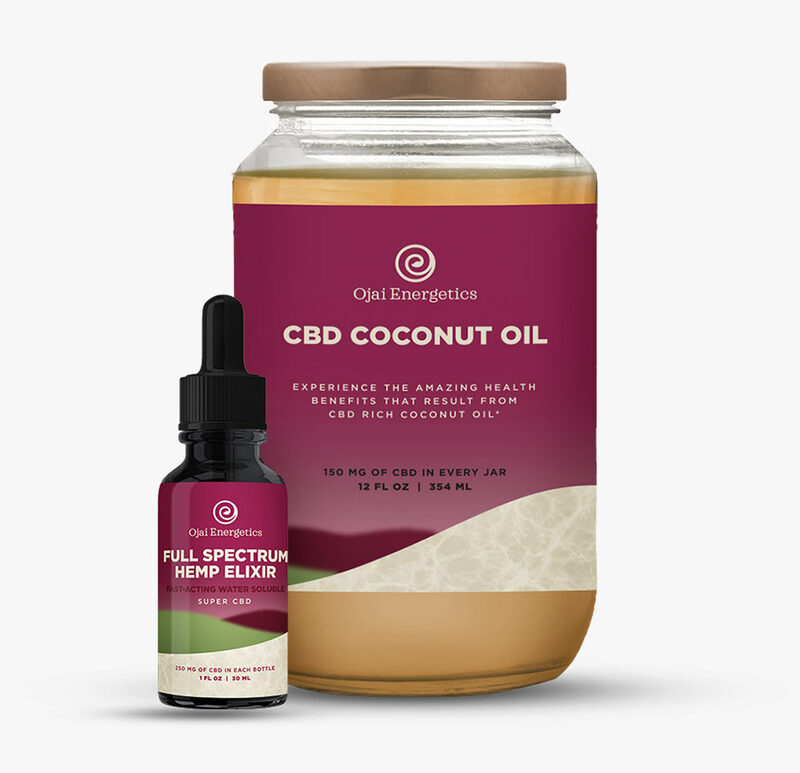 Full spectrum CBD rich oil has an inverse tolerance and less is needed for the same results after the initial loading period for most people. Where is Ojai Energetics hemp oil from? We use Colorado farm bill compliant hemp flowers that are certified organic and then use C02 to extract the oil. Hemp has been used since antiquity for pretty much anything you could think of. Hemp has been grown for at least 10,000 years for food, medicine, fiber and fuel. It is thought that hemp was human’s first agricultural crop. Emperor Shen Neng in China “discovers” the medicinal benefits of hemp. Ancient Greeks use hemp for nutrients, food, animal fodder, rope and medicine. Pliny the Elder writes about the health effects of hemp in his leading scientific manual, Natural World, the scholars referenced from ancient Rome into the Renaissance. French and British cultivate Cannabis for hemp at their colonies. America’s first marijuana law was enacted at Jamestown Colony, Virginia, ordering all farmers to grow Indian hemp. George Washington grows hemp and uses it internally. Popular Mechanics writes an article about how hemp could be used in 25,000 different products. The Nixon-appointed Shafer Commission urged use of cannabis be re-legalized, but their recommendation was ignored. U.S. Medical research picks up pace. President Obama signed the Farm Bill, which allowed research institutions to start piloting hemp farming. Ojai Energetics encapsulates CBD in nano bubbles to increase bioavailability.